Cat Deeley wore Seraphine the other day in Los Angeles. 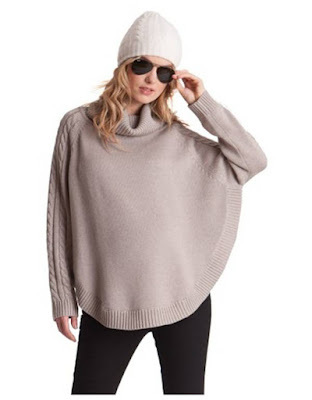 The So You Think You Can Dance host looked chic showing off her growing baby bump wearing the Almond Cable Knit Cape Maternity Sweater while enjoying the day with her husband ($99; www.seraphine.com). Below is the maternity sweater worn by a fashion model.